Bringing varied experiences with him, Andy is passionate about helping others create a healthier lifestyle through his work as a Health & Wellness Coach. Andy has previously worked as a Personal Trainer, Metabolic Specialist and Speed & Agility Coach. 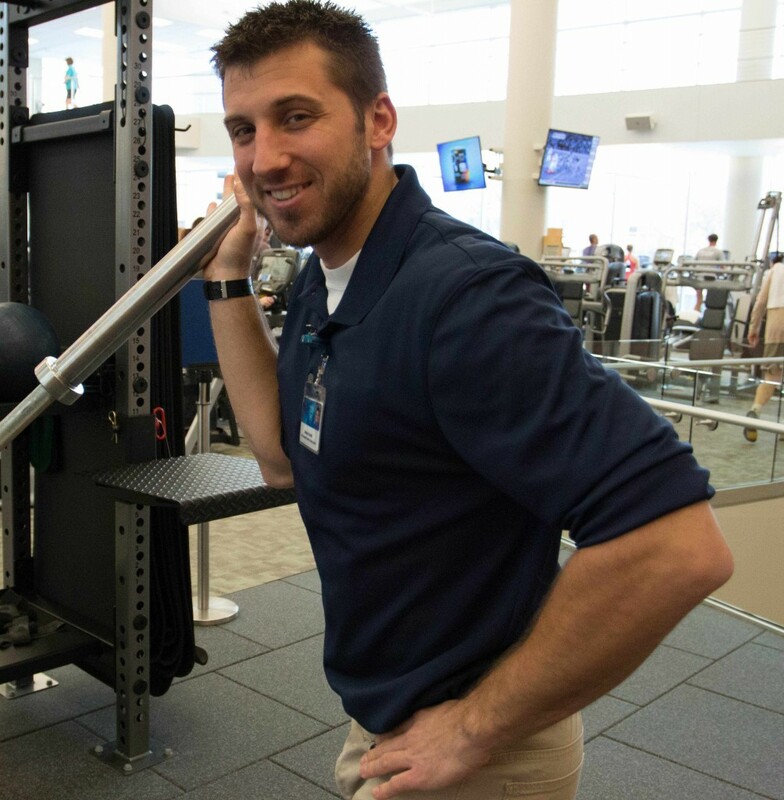 At the DAHLC, you'll find Andy teaching Basics classes, leading training groups and providing Fitness Floor coverage. Outside work, Andy enjoys a lot of outdoors activities such as hunting, fishing, kayaking, canoeing, camping, golf, kite boarding, water skiing, downhill skiing/snowboarding and rugby. He also likes to spend time with his girfriend and his German Shorthair. Certifications: National Academy of Sports Medicine including Certified Personal Trainer, Corrective Exercise Specialist and Performance Enhancement Specialist. Could I get an email for or from Andy so I may contact him? I am a current University Student looking to ask questions.